El Niño and La Niña are periodic weather patterns resulting from interactions between the ocean and the atmosphere in the tropical Pacific Ocean. Ocean temperatures indicate the presence of El Niño and La Niña, which sometimes lead to extreme weather in many parts of the United States. NOAA climatologists closely track the development of these oscillating systems, which typically last between one to two years. 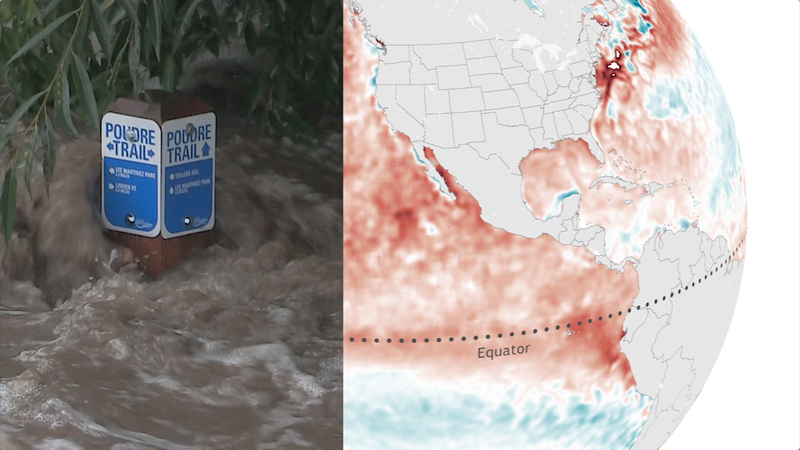 With so much at stake, it’s critical to be able to monitor and forecast when El Niño or La Niña is developing so governments, businesses, and private citizens can prepare. The warmer ocean fuels an intensification and southward shift of the jet stream. This brings flooding to the Southern United States and warmer, drier conditions over parts of the Pacific northwest, northern U.S. and Canada. NOAA gathers data from an array of buoys and satellites that measure ocean and air temperature, wind speed, and direction. Emerging technologies are being tested to measure ocean temperatures and salinity, including low-cost, easily-deployed PICO buoys which have instruments that use wave energy to climb up the mooring line, then take measurements during descent, and underwater gliders that fly like a rollercoaster on autonomous missions that can last three months or longer. With this information in hand, NOAA’s Climate Prediction Center tracks and forecasts the development of El Niño and La Niña. Historical and real-time weather data are collected and a team of climatologists piece together a probabilistic forecast months into the future. And since we are continuing to develop and implement new observing technologies, and gain more skill at predicting weather and climate, why not take advantage of this freely available information from NOAA, the nation’s environmental intelligence agency. Because, remember - El Niño and La Niña in the Pacific Ocean can impact weather and climate in your backyard. El Niño and La Niña are extreme phases of a naturally occurring climate cycle referred to as El Niño/Southern Oscillation. Both El Niño and La Niña impact global and U.S. climate patterns. Sea surface temperatures in the tropical Pacific Ocean are monitored with data buoys and satellites.